Hey, I can’t believe I have never seen your site before! Just found you through Sarah’s blog, and your blog looks awesome. I am totally going to be looking around and coming back for more! So fun to find fellow kosher bloggers! This cake looks fabulous- totally need to try it. 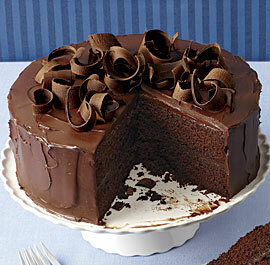 The cake was delicious – large and impressive looking with a moist texture.